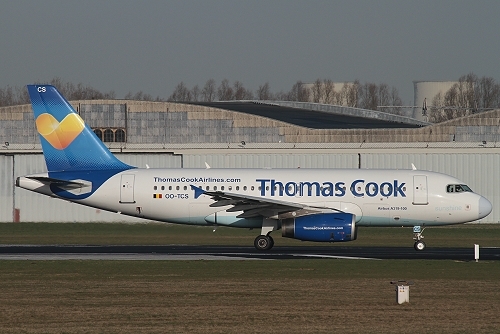 Description: the first A319 for Thomas Cook Airlines Belgium, baptized "Sunshine", arrived at Brussels on March 9 2012 in their full livery. It entered service on March 28. 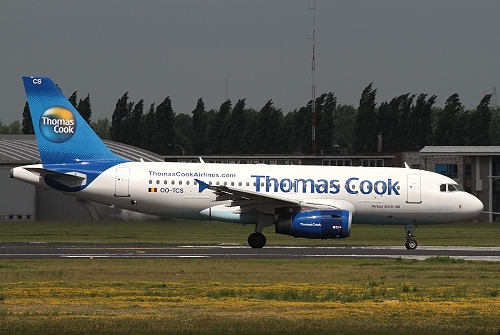 Description: from January 2014 onwards with revised tail logo, part of a new color scheme. On December 2 2015 it left the fleet on return to the lessor cancelled as "OE-IEH".